The reelection of Turkey’s President Erdogan, falsely considered to be free, fair, and representative of the will of the majority of the Turkish population, has dire implications both domestic and foreign. Supporters of Erdogan suggest that the elections only reinforce the democratic nature of the country and that critics of Erdogan must now accept the public verdict. The fact, however, is that Erdogan stopped short of nothing to create an internal social and political atmosphere to stifle his opposition that made it possible for him to win an outright majority of the electorate. This raises serious questions about the legitimacy of his victory that has bestowed on him sweeping powers and made Turkey de facto one-man rule. Nothing will stop him now from pursuing his abusive and blind ambition, as he can now exercise absolute power. 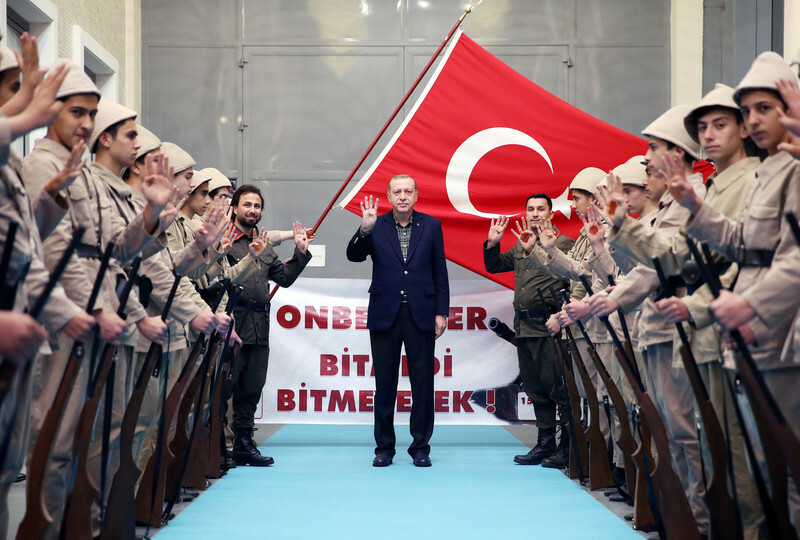 To engineer his victory, Erdogan resorted to various manipulative methods, beginning with holding elections under the emergency laws (instituted in July 2017 following the attempted military coup). These laws granted him draconian measures allowing him to severely limit free expression and the right of assembly, thus restricting the freedom of his rivals to campaign against him on an equal footing. He deliberately called for early elections because he was running scared, as the long-term political and economic projections are not in his favor; the opposition parties have demonstrated far greater appeal while the economy is on the brink of crisis. Since he began his rampage against the press a few years ago, Erdogan has closed nearly 180 media outlets and imprisoned in excess of 150 journalists. Currently, nearly all the print and online press along with radio and TV are controlled directly or indirectly by his cronies. As such, he successfully deprived his competitors of press coverage during the campaign, which drastically truncated their ability to share their political platforms with the public. He was bent on undermining his rivals. As a case in point, he imprisoned presidential candidate and Kurdish Party leader Selahattin Demirtas, whom he jailed on politically motivated charges, which casts another cloud over the legitimacy of the elections. The over 3 million government employees and other institutions that depend partly or wholly on government support were warned that they must not only vote for him, but also ensure that their relatives and friends fully lend him their political support as well. He further undermined the fairness of the election by allowing government officials to man polling stations and count ballots that have no official stamp. Moreover, elements of his reelection machine led by loyalists were basically the only group that had the physical and financial means to campaign outside Turkey, albeit with some limitations, to garner the vote of the nearly three million Turks living in Europe. All members of the AKP were united in their resolve to campaign on his behalf as they were over the years one of the main beneficiaries of his 15 years in power, enjoying the largess and comfort that he provided to his loyalists. The majority of the AKP who stood for reelection were totally committed to ensure his reelection, as they view their own political future directly linked to his. Although the AKP did not win a majority in the parliament, the fact that he formed an alliance with the far-right National Movement Party secured him the majority he needs, basically rendering the next parliament nothing more than a rubber stamp to push his agenda with virtually no opposition. Having reached the pinnacle of power with effectively no constraints, leave it to Erdogan to pursue even more vigorously his nationalist theme and his Islamic agenda. He will further aggressively pursue his drive to play a substantial economic, social, and political role in many countries in the Middle East and the Balkans. Indeed, Erdogan is bent on restoring much of the influence that was once exercised by the Ottoman Empire. His dream, as he and many of his top aides have often articulated, is to preside over the hundredth anniversary of the establishment of the Turkish Republic in 2023 and be recognized as the new Atatürk (‘father’) of Turkey’s modern era. Erdogan’s attainment of absolute power should send shivers through every individual and institution that he blacklisted, as he will continue his rampage with even greater tenacity against his opponents. There is virtually nothing that can now stop him from further subjugating the Kurdish community and depriving them of their basic human rights. All governing institutions will be subject to his whims; he will have the first and last word on every matter of state with no challenge whatsoever. He should further be expected to issue decrees as he sees fit, fully subordinate the judiciary, and use the military to intimidate any of his neighbors and threaten others. He has no qualms about conducting major incursions on foreign land, as he is presently fighting in Syria and Iraq against the Kurds, whom he accuses of being associated with the PKK. 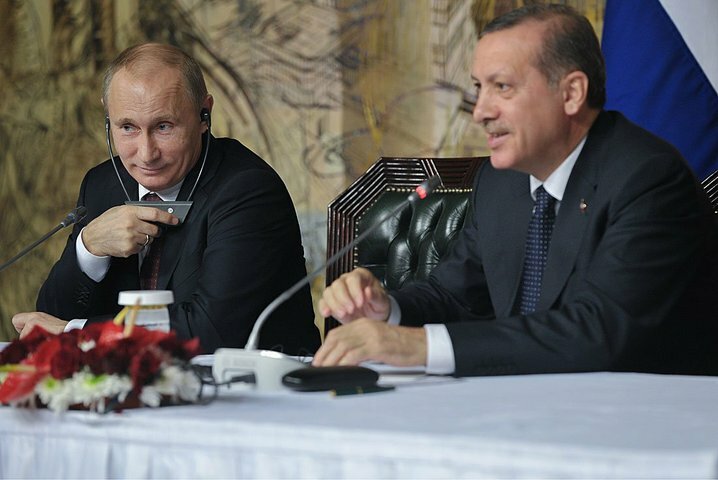 With Turkish Prime Minister Recep Tayyip Erdogan at a news conference following a meeting of High-Level Russian-Turkish Cooperation Council. Western powers must now reassess their relations with Ankara, as Erdogan will undoubtedly flex his muscles both domestically and in his foreign relations to pursue his neo-Ottoman agenda. This development is bound to further destabilize the Middle East and pose serious challenges to the US, EU, and NATO in particular, as Turkey under absolute dictatorship no longer qualifies to be a member of the West’s most important defense organization. This must also be seen in light of the fact that Erdogan has developed close and friendly relations with the West’s staunchest enemies—Russia and Iran. He purchased the S-400 air defense system from Russia, which is politically and strategically inconsistent with the West’s relations with Moscow and technologically incompatible with NATO air defenses. He is working in tandem with Russia and Iran to find a solution to the Syrian civil war and deliberately sideline the US from playing any role in determining the final outcome. 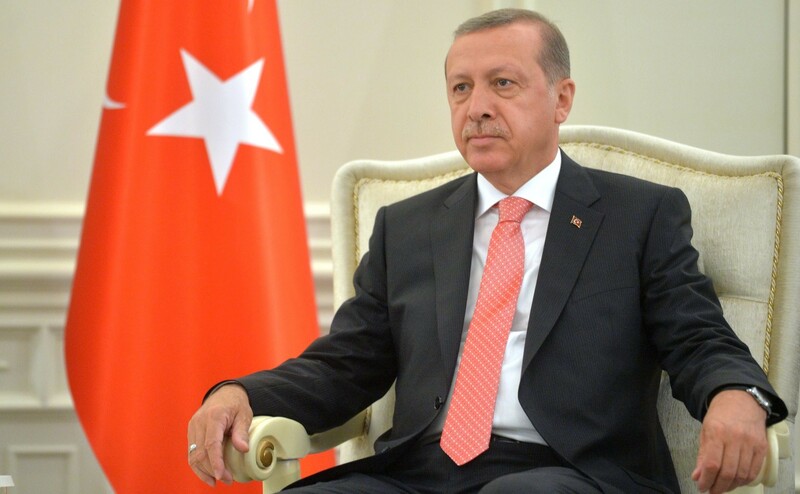 There is no doubt that Erdogan will continue to pursue his popular anti-Western sentiment and policies that will adversely undermine the West and their allies’ interests in the Middle East. While Turkey of yesteryear embraced democratic values, today’s Turkey under Erdogan has violated every code of human rights and every principle of a democratic form of government. 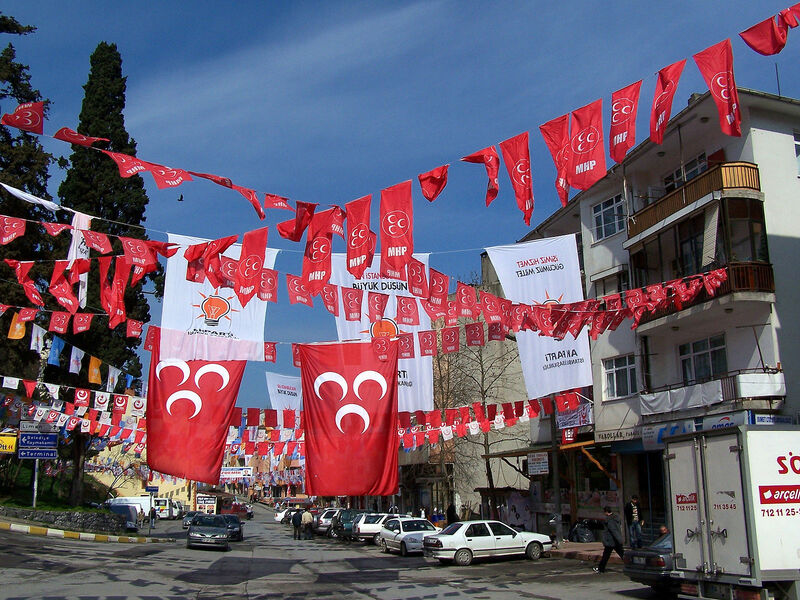 Any election, however free and fair, is only one element and does not in and of itself constitute a free democracy; the election in Turkey is no different. Erdogan may proclaim that he won the election fair and square, but in reality, he exploited the election to consolidate his power under the guise of democracy. Although the current global shift toward acceptance of authoritarianism, as seen in Putin’s Russia, the Philippines under Duterte, and Xi in China, does not justify Erdogan’s actions, it sadly does serve to explain his victory. Erdogan betrayed his own people before the election, and now he has been granted an even freer hand to vigorously pursue any domestic and foreign policy at his whim. The West must now apply zero tolerance toward Turkey and not allow a ruthless and corrupt leader to undermine Western interests in Europe and the Middle East without consequences.